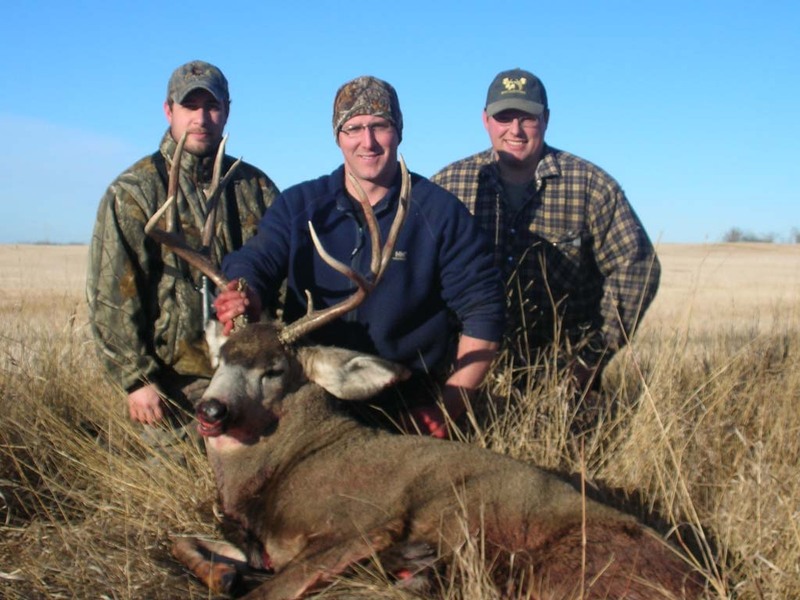 Join us on our trophy whitetail deer hunts in North Central Alberta, Canada. 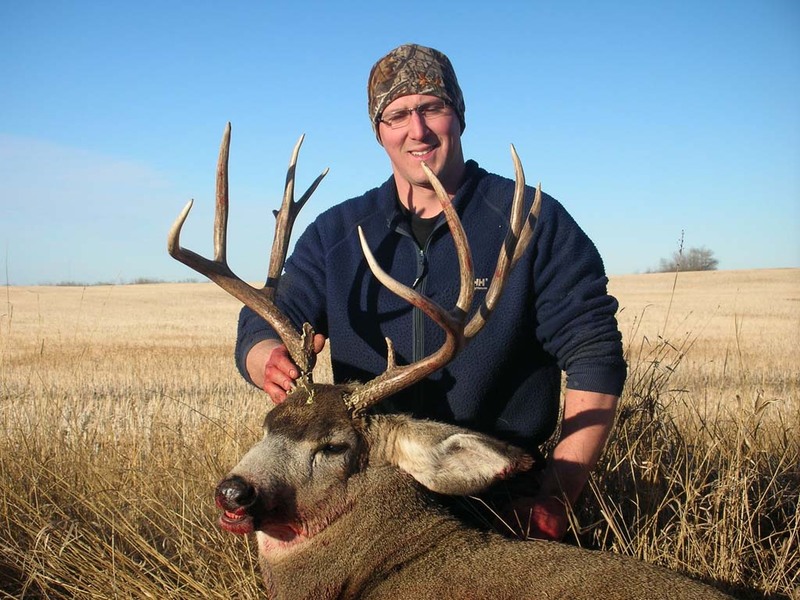 Whitetail deer hunting in Alberta is world-renowned. 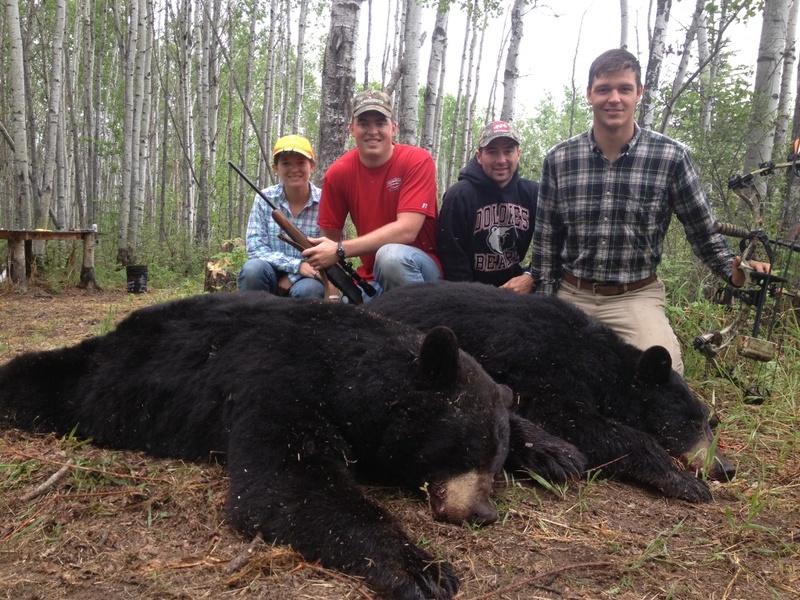 Rifle and archery hunters have taken some incredible trophies. Boss outfitting is offering archery whitetail deer hunts as well as November rifle whitetail hunts during the rut. As every whitetail hunter knows chasing a large buck in the heat of the rut is the way to go. These whitetail deer hunts are done in tent camps, or motel, depending on the client’s preference. We use many methods to pursue these whitetail deer such as stand hunting, deer drives, spot and stalk, and still hunting. In November, during the heavy rut, we also employ rattling as a very effective technique. 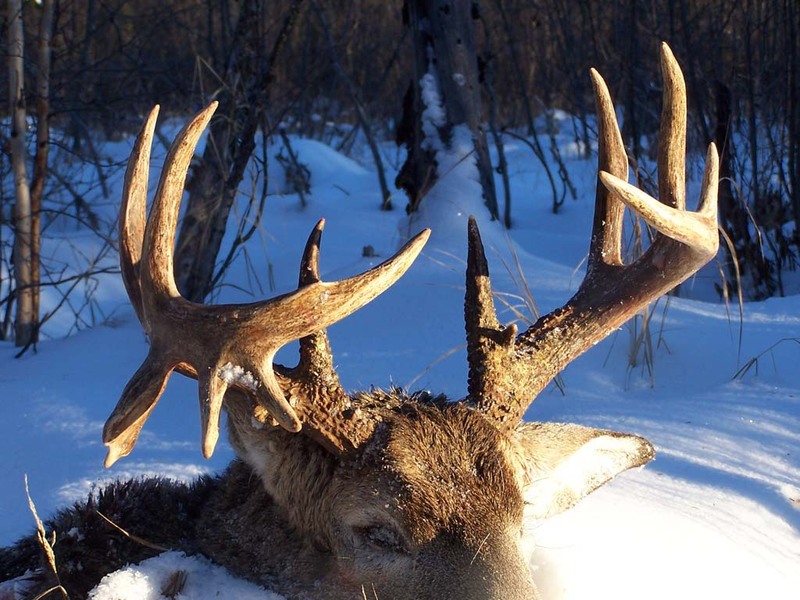 Our whitetail deer hunts take place northwest of Edmonton. The mixture of thick bush and agricultural farmland is prime habitat for whitetail deer. Our hunting area is well known for producing world class bucks and continues to fill the record books with big deer year after year. 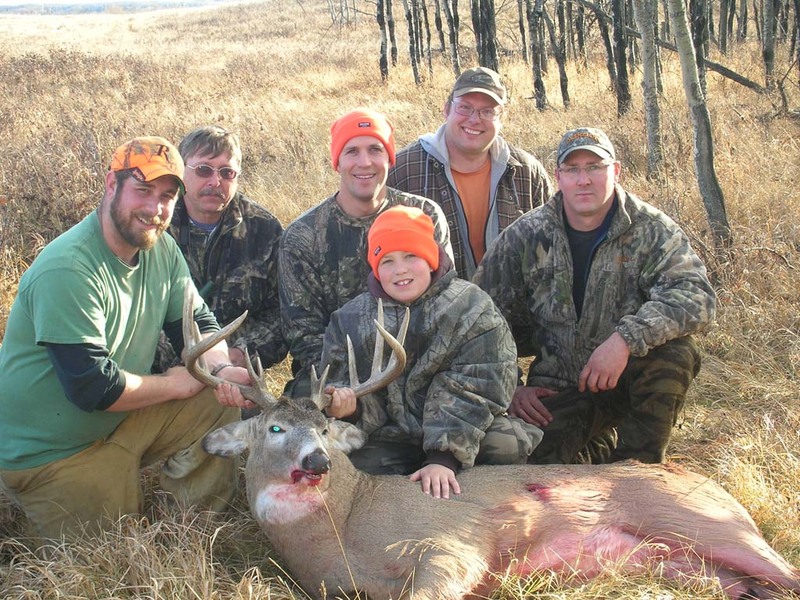 Our whitetail hunts are fairly exclusive and specific to each group of hunters. We scout year around and have a good idea where to find the big ones. It is not uncommon to see mule deer in the 140″-200″ class in our whitetail deer hunting area. 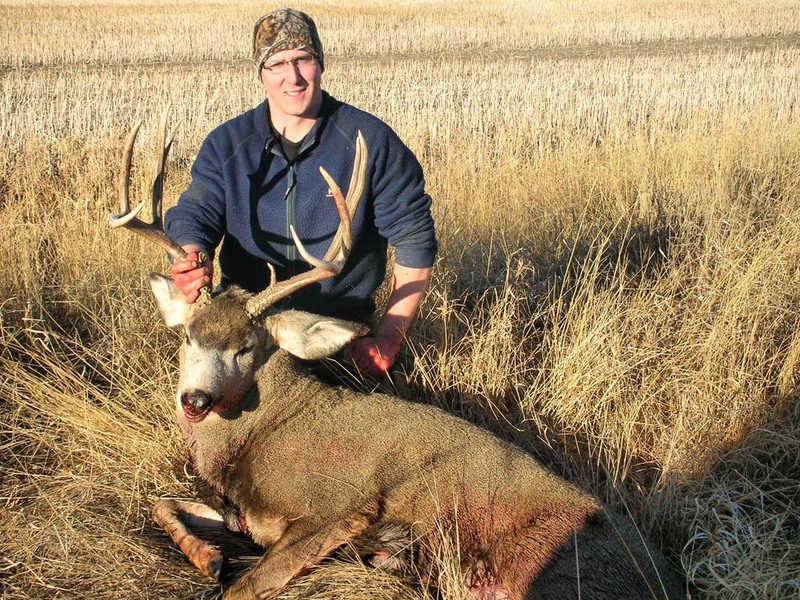 A mulie hunt can be added with a whitetail hunt for an additional cost. The opportunity exists in Alberta to harvest the next world record. Contact Boss Outfitting If you’re looking for a trophy whitetail or mule deer hunt.